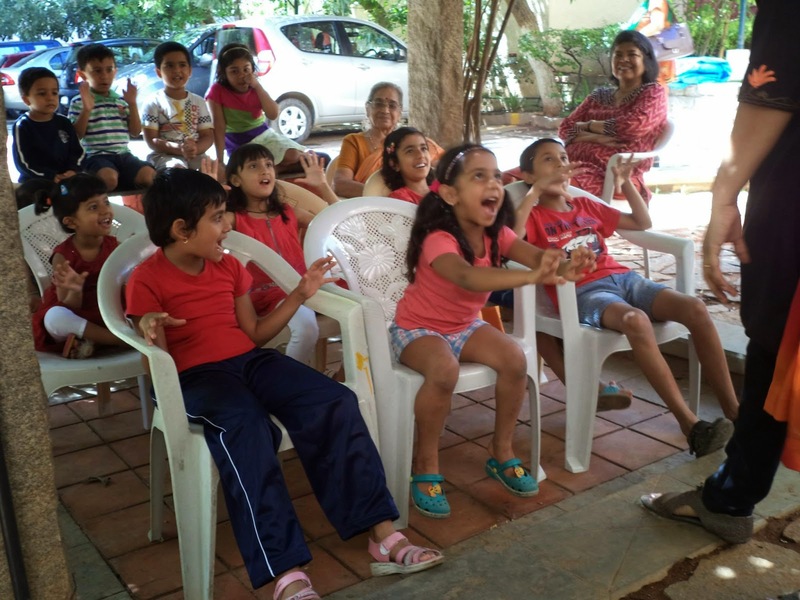 Phew... Arthi is definitely setting the champions campaign on fire. 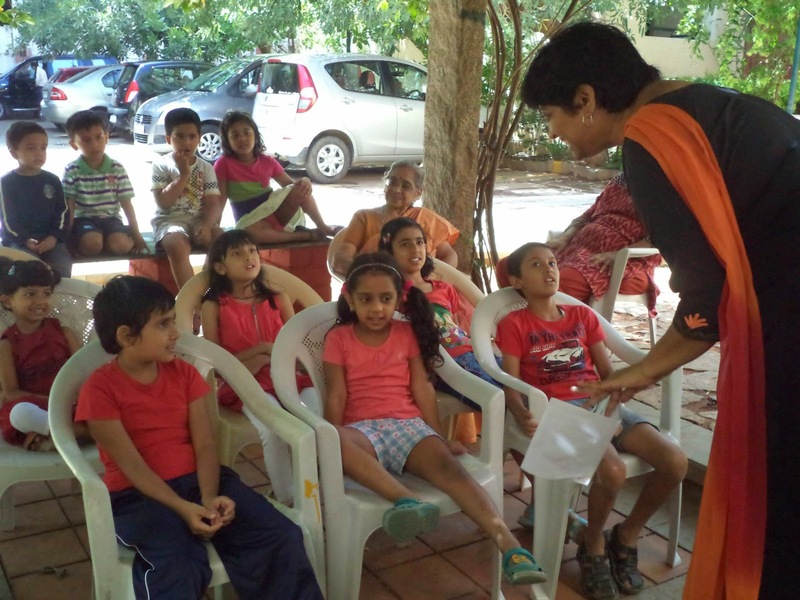 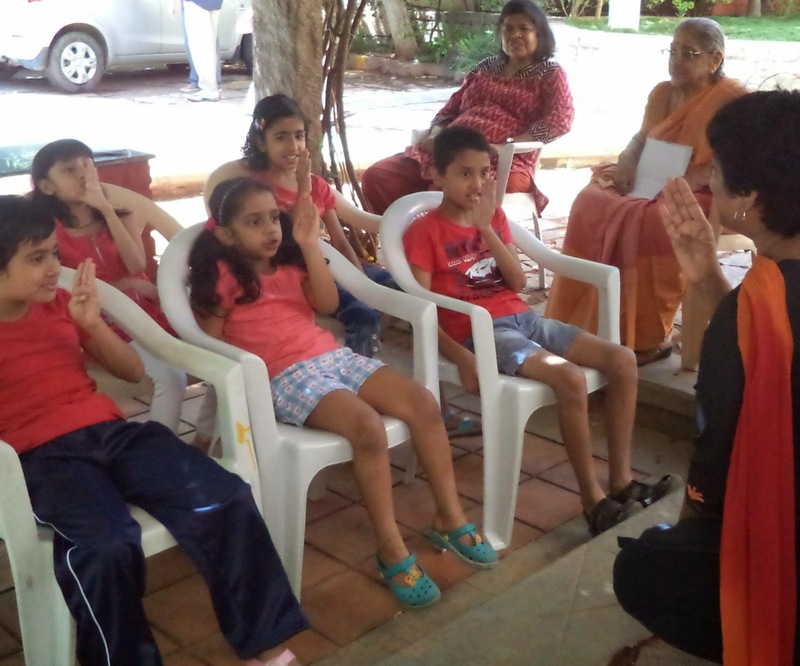 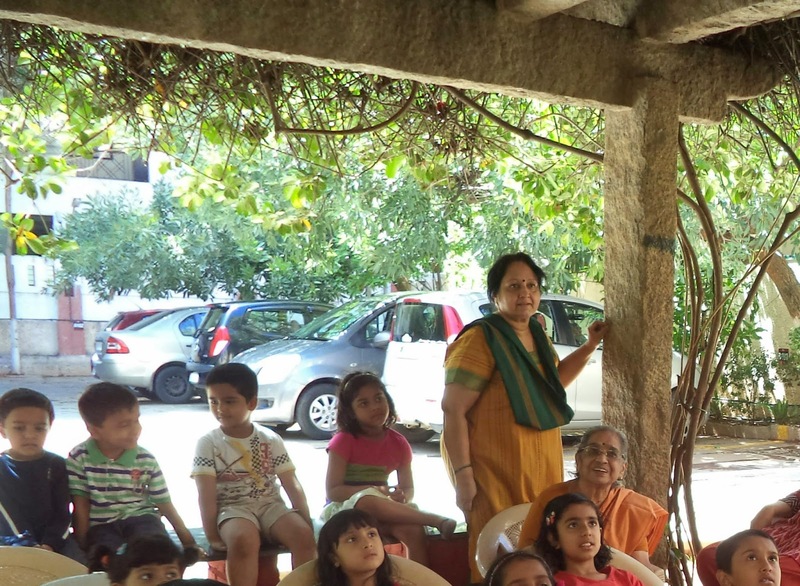 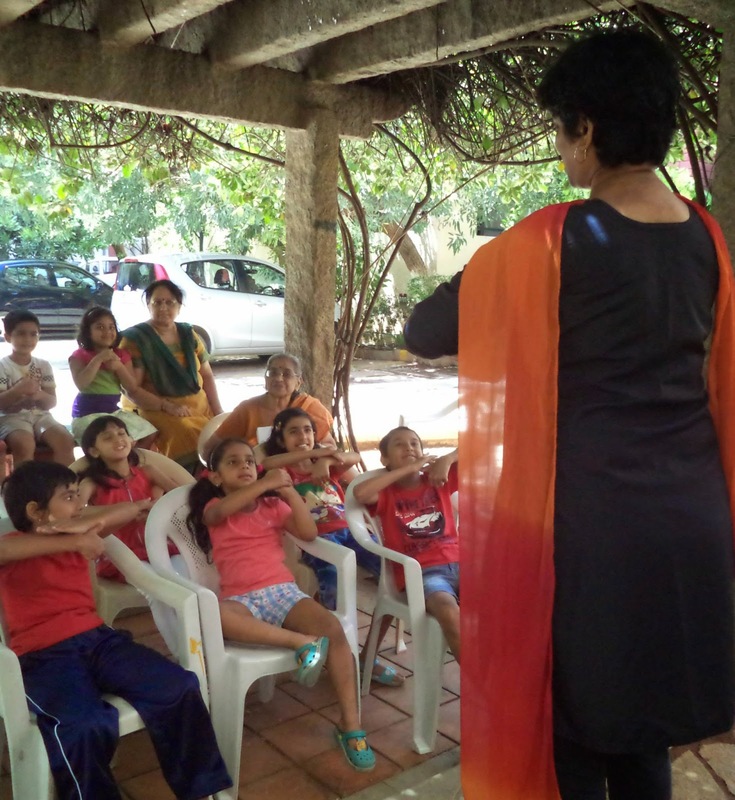 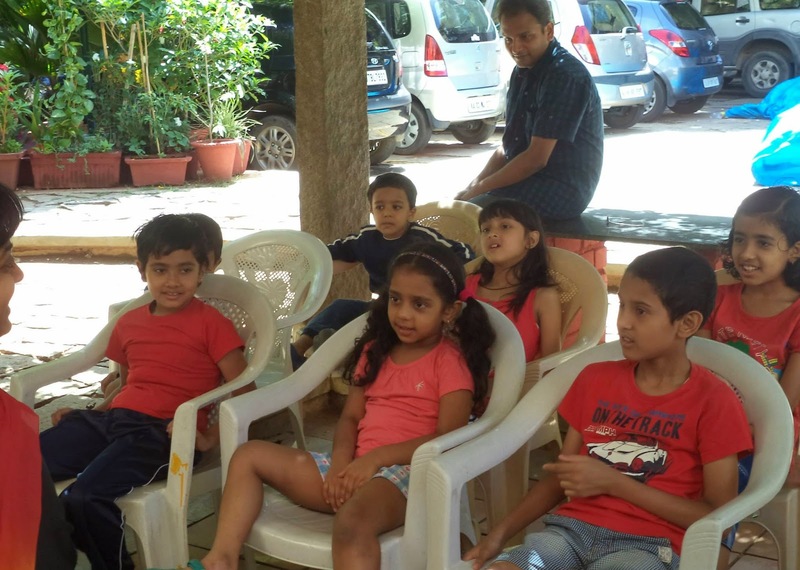 This is Arthi's 5th storytelling session in one month. 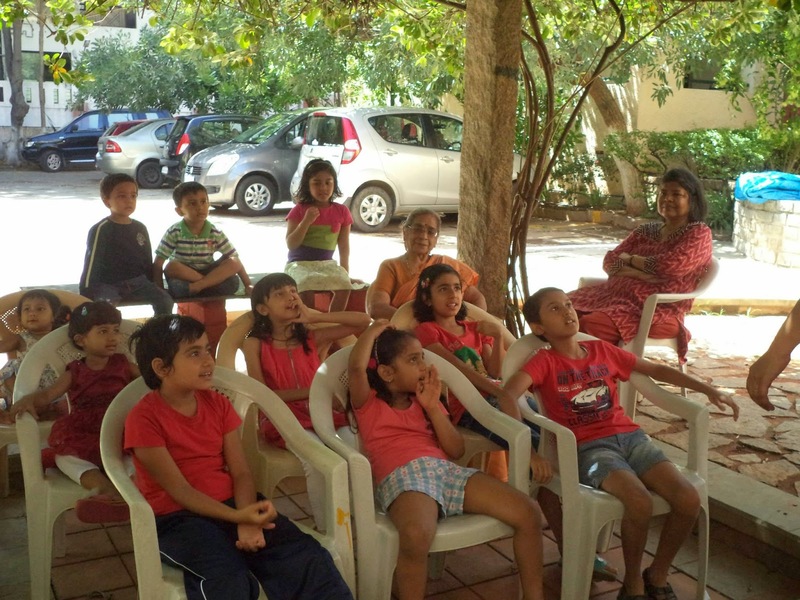 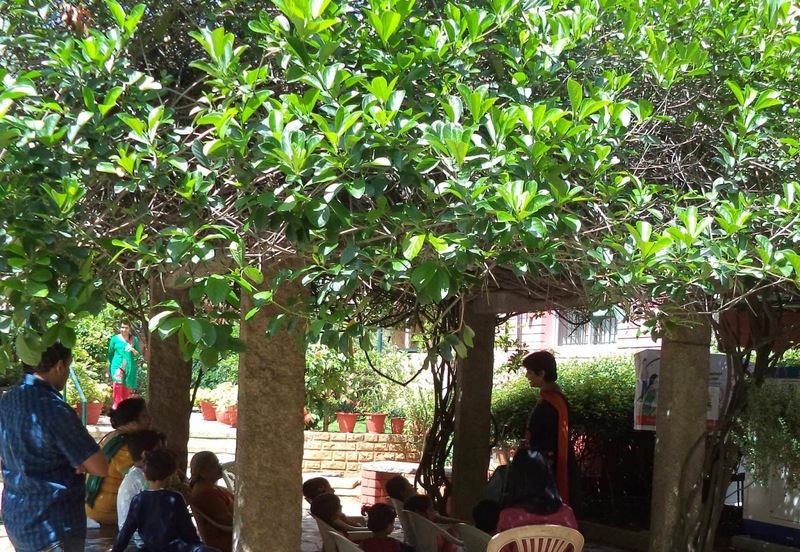 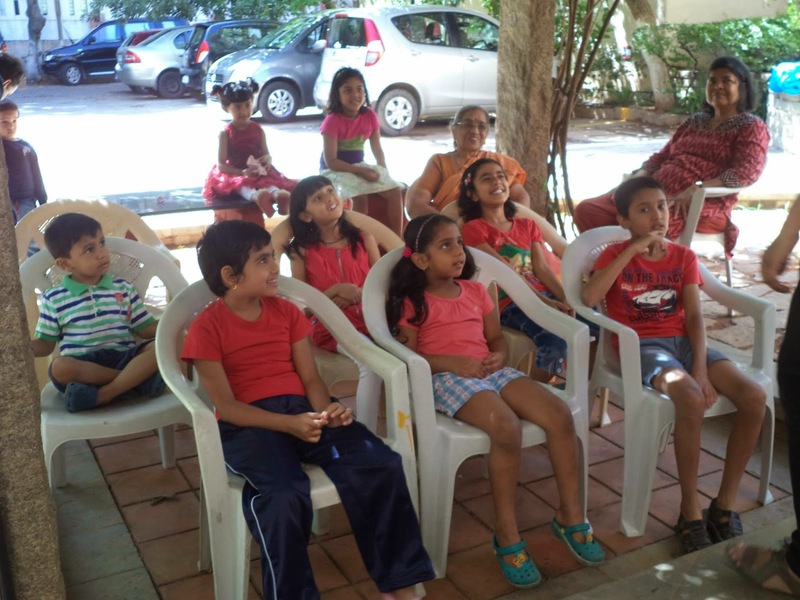 For this session at DV Apartments, Arthi shared 4 stories (The missing Bat, The Seventh Sun, Too much noise and Turtle Tales) with 11 kids and 2 adults. 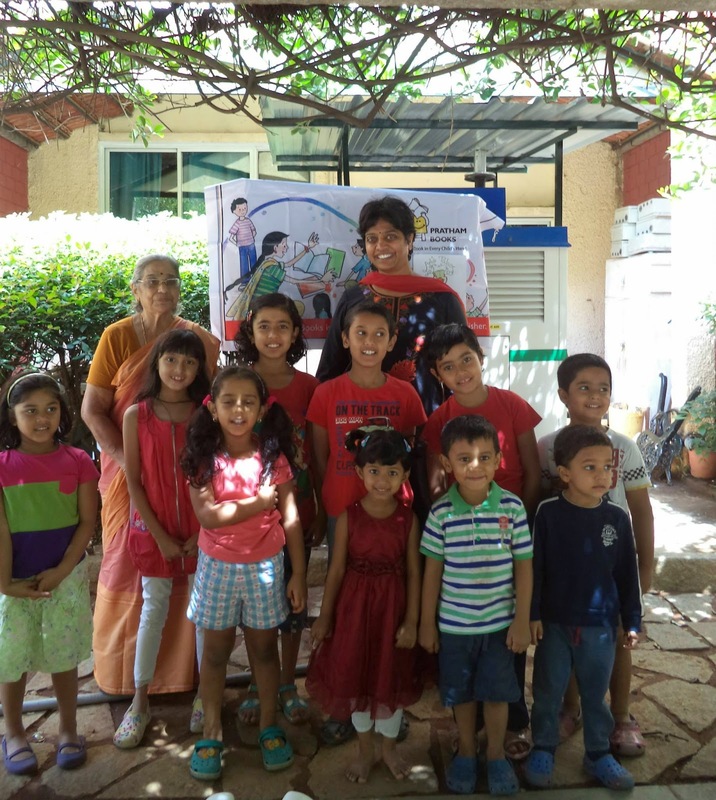 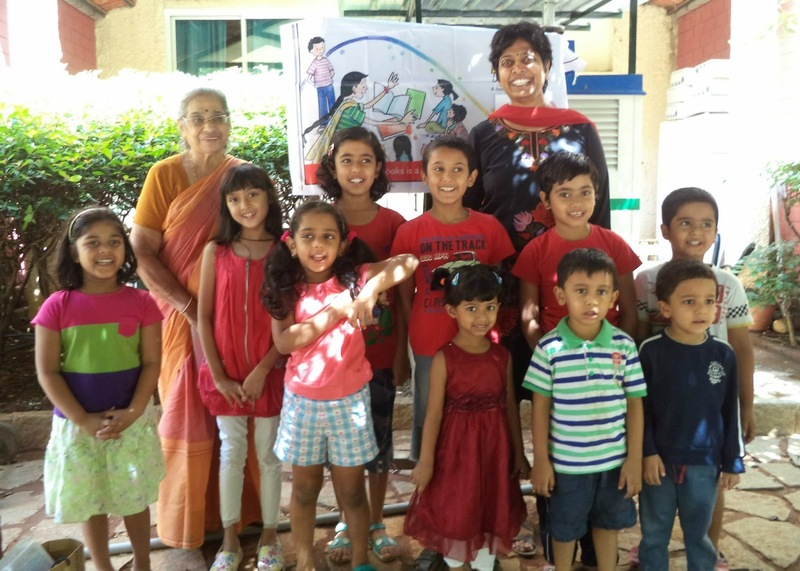 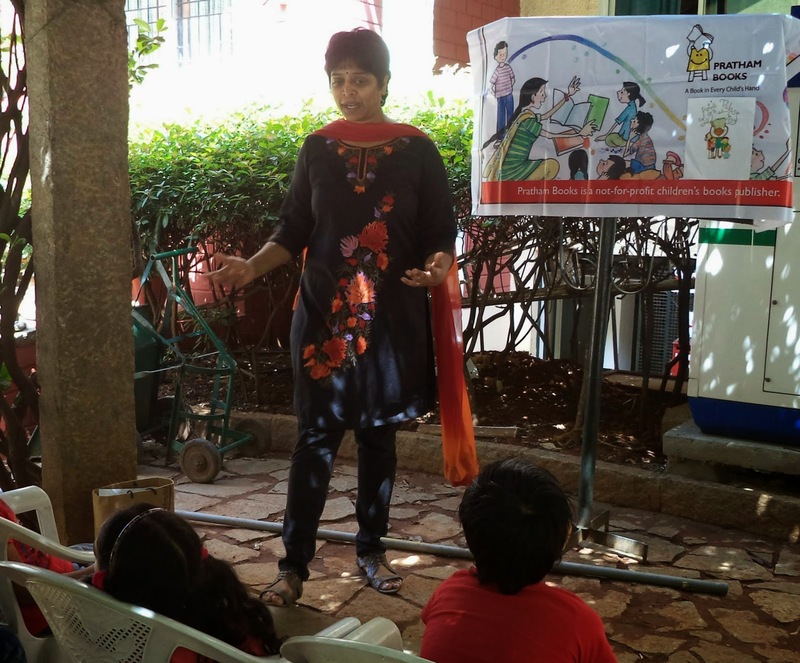 Arthi has created a story express using our books and been introducing children to tales across the country through her idea.